As warned last year, Microsoft is pushing Windows 10 upgrades onto its user's PCs much harder by re-categorizing Windows 10 as a "Recommended Update" in Windows Update, instead of an "optional update." Microsoft launched Windows 10 earlier last year and offered the free upgrade for Windows 7 and Windows 8 and 8.1 users. While the company has been successful in getting Windows 10 onto more than 200 Million devices, Microsoft wants to go a lot more aggressive this year. ...From Monday, Windows Update will start upgrading your PC to the newest Windows 10 as a recommended update, Microsoft confirmed. This means Windows 10 upgrade process will download and start on hundreds of millions of devices automatically. The move is, of course, the part of Microsoft's goal to get Windows 10 running on 1 Billion devices within 2-3 years of its actual release. 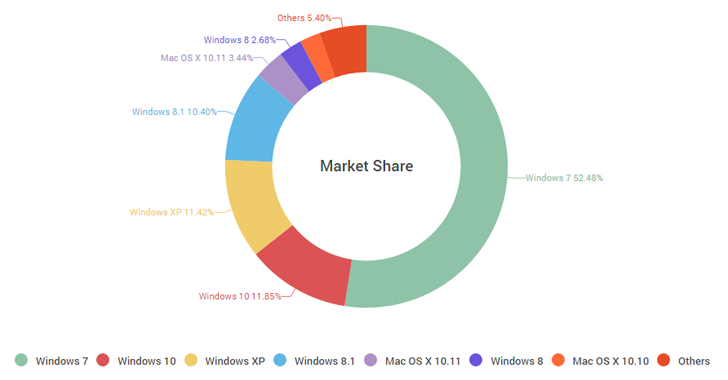 Market Share of Windows 10 is on the rise. It has already grabbed a market share of 11.85% as of January 2016, increasing from 9.96% in December. But, Windows 7 is still running on over 50% of all PCs in the world, so targeting even half of its user base would bring Microsoft very near to its goal. "As we shared in late October on the Windows Blog, we are committed to making it easy for our Windows 7 and Windows 8.1 customers to upgrade to Windows 10," a Microsoft spokesperson said. "We updated the update experience today to help our clients, who previously reserved their upgrade, schedule a time for their upgrade to take place." This means if the 'Give me recommended updates the same way I receive important update' option in Windows Update section is enabled on your PC, the Windows 10 update will not only be downloaded but also, the installation will be started automatically. You are also required to stay alert because even if you have adopted manual updates you may still end up downloading Windows 10 anyway. As Windows Update is automatically pre-selecting the option for you, without your need to click on the box to get it. 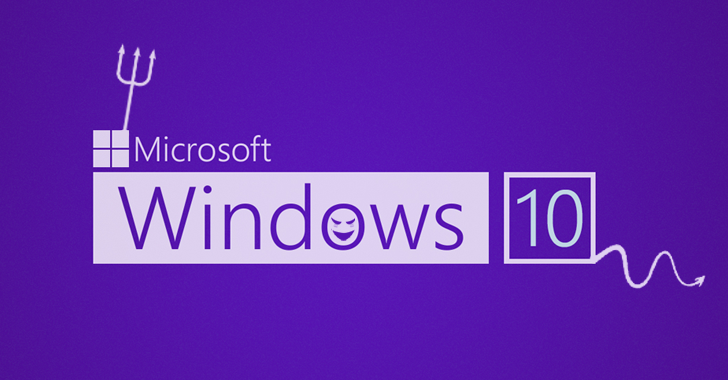 However, the company says that you won't be forced to upgrade the creepy OS as there will still be a prompt window that will require you to click through and confirm the Windows 10 upgrade after the files have silently been downloaded and unpacked in the background. Even if the Windows 10 upgrade is accidentally completed, there is still a way to opt out of it. Microsoft is offering a 31 day grace period in which you will be able to revert to your old installation after trying Windows 10 and deciding you not like the operating system. Though we know this revert will also be an aggressive push by Microsoft. + Can Cloud Security Decrease Breach Containment Costs?